Howard Blake III graduated as a senior communications major at Cabrini. He was heavily involved in the communications department as the co-sports editor of the Loquitur newspaper and the co-sports anchor of LOQation Weekly News Program. He juggled a full course load while serving as captain of Cabrini’s basketball team. 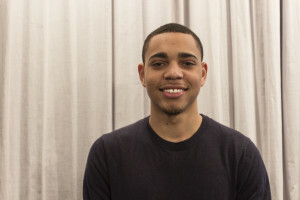 Howard has a strong passion for sports and hopes to work in the sports industry as a sports reporter or sportscaster. He interns with Cabrini’s athletics department. Find out what Howard is up to on Twitter @Chosen_4aReason, LinkedIn, or on his blog at Chosen Sports. To contact Howard directly click here.